Joseph Burstyn, Incorporated v. Wilson, Commissioner of Education of New York, et al. The Court determined that certain provisions of the New York Education Law allowing a censor to forbid the commercial showing of any non-licensed motion picture film, or revoke or deny the license of a film deemed to be "sacrilegious," was a "restraint on freedom of speech" and thereby a violation of the 1st Amendment. Joseph Burstyn, Inc. v. Wilson, 343 U.S. 495 (1952) (also referred to as the "Miracle Decision"), was a landmark decision by the United States Supreme Court which largely marked the decline of motion picture censorship in the United States. It determined that provisions of the New York Education Law which allowed a censor to forbid the commercial showing of a motion picture film it deemed to be "sacrilegious" was a "restraint on freedom of speech" and thereby a violation of the First Amendment. In recognizing that a film was an artistic medium entitled to protection under the First Amendment, the Court overturned its previous decision in Mutual Film Corporation v. Industrial Commission of Ohio (1915), which found that movies were not a form of speech worthy of First Amendment protection, but merely a business. The case was an appeal to the Supreme Court by film distributor Joseph Burstyn against the rescinding of a license to exhibit the short film "The Miracle", originally made as a segment of the Italian film L'Amore. Burstyn was the distributor of the subtitled English versions of the movie in the U.S. The film was directed by Italian neorealist Roberto Rossellini. Its plot centered around a man, "Saint Joseph" (played by director Federico Fellini), who villainously impregnates "Nanni" (Anna Magnani), a disturbed peasant who believes herself to be the Virgin Mary. Fellini and Rossellini also co-wrote the script for "The Miracle". "The Miracle" originally premiered in Europe in 1948 as the anthology film L'Amore with two segments, "Il Miracolo" and "La voce umana", the latter based on Jean Cocteau's play The Human Voice and also starring Magnani. The film was first shown in New York in November 1950, presented under the title Ways of Love, with English subtitles. In December, Ways of Love was voted the best foreign language film of 1950 by the New York Film Critics Circle. After its American release, the New York State Board of Regents reportedly received "hundreds of letters, telegrams, postcards, affidavits and other communications" contrastingly protesting and defending the exhibition of the film. Three members of the Board were subsequently ordered to examine it; they concluded that The Miracle was "sacrilegious" and directed the appellants to show otherwise at a hearing. The hearing determined that the film indeed constituted religious bigotry and on February 16, 1951, the Commissioner of Education was ordered to rescind the picture's license. The appellant brought this decision of the Board to rescind the license to the New York courts for review, on the grounds that the statute "violates the First Amendment as a prior restraint upon freedom of speech and of the press," "that it is invalid under the same Amendment as a violation of the guaranty of separate church and state and as a prohibition of the free exercise of religion," and "that the term 'sacrilegious' is so vague and indefinite as to offend due process." The Board's decision was upheld by the New York state courts, including the New York Court of Appeals. 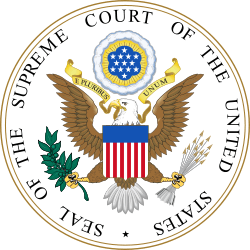 The decision was appealed to the Supreme Court. The director of the [motion picture] division [of the education department] or, when authorized by the regents, the officers of a local office or bureau shall cause to be promptly examined every motion picture film submitted to them as herein required, and unless such film or a part thereof is obscene, indecent, immoral, inhuman, sacrilegious, or is of such a character that its exhibition would tend to corrupt morals or incite to crime, shall issue a license therefor. If such director or, when so authorized, such officer shall not license any film submitted, he shall furnish to the applicant therefor a written report of the reasons for his refusal and a description of each rejected part of a film not rejected in toto. Although this case made them unenforceable, Massachusetts, Michigan, Oklahoma, South Carolina, Wyoming, and Pennsylvania still have unrepealed blasphemy laws on the books. ↑ Jowett, G. (1996). "A significant medium for the communication of ideas": The Miracle decision and the decline of motion picture censorship, 1952–1968. Movie censorship and American culture, 258–276. Washington: Smithsonian Institution Press. ↑ Kozlovic, Anton Karl (2003). Religious Film Fears 1: Satanic Infusion, Graven Images and Iconographic Perversion, 5 (2-3). ↑ Black, G. D. (1998). The Catholic crusade against the movies, 1940-1975. Cambridge: Cambridge University Press.